We've been home for three weeks. 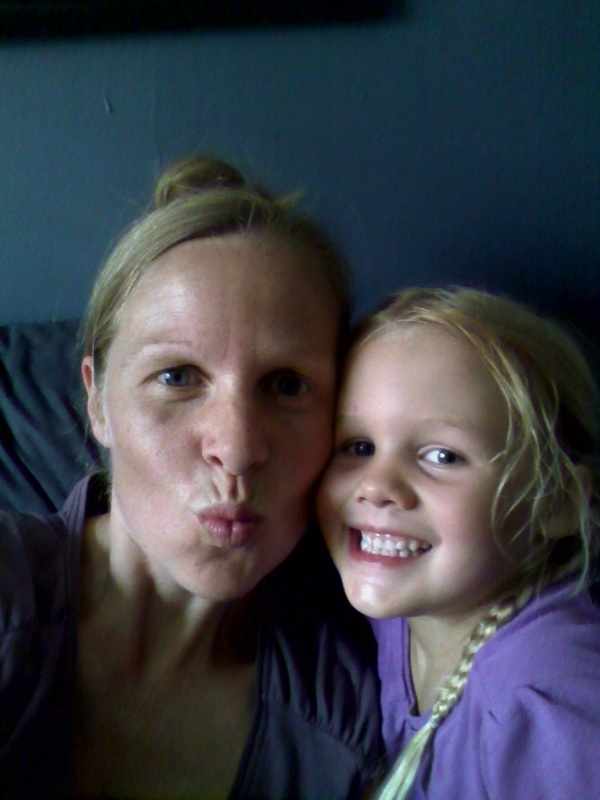 We had less than a week of downtime before the kids started school. Eric and I began teaching today. The family renting our house took great care of it, but the record rainfall this summer meant we came back to a jungle. When we left for France a year ago, I had weeded and mulched every square inch of garden. Not a weed in sight. Now...well...I've been hauling weeds away by the truckload. I am determined to tame my yard back into shape! I'm working on a grant proposal to design a vaginal breech training course. I've been writing in my head, but haven't got much down on paper yet. That's typical of how I work with four little children underfoot. I was going to write a celebratory post about Ivy sleeping through the night...She's been doing it for almost a month now. Of course last night she had to break her pattern and wake up twice to nurse! She's crying again right now (10 pm), and I feel grumpy and don't want to nurse her. Here's a peek into how our kids amuse themselves. They might dress up (Ivy and Inga), or take off most of their clothes (Dio). They dance to classical music. They jump off the edge of the couch and do somersaults. They laugh hysterically. Also I got my first smartphone. I wanted an emergency cell phone and priced out all the options. FreedomPop was the winner, beating out the cheapest prepaid options. I got one of their hidden deals: a refurbished Kyocera Hydro Icon for $39, plus the free basic monthly plan of 200 minutes, 500 texts, and 500 MB of data. I opted out of all upgrades, special offers, free trials, and premium services and disabled automatic topups. 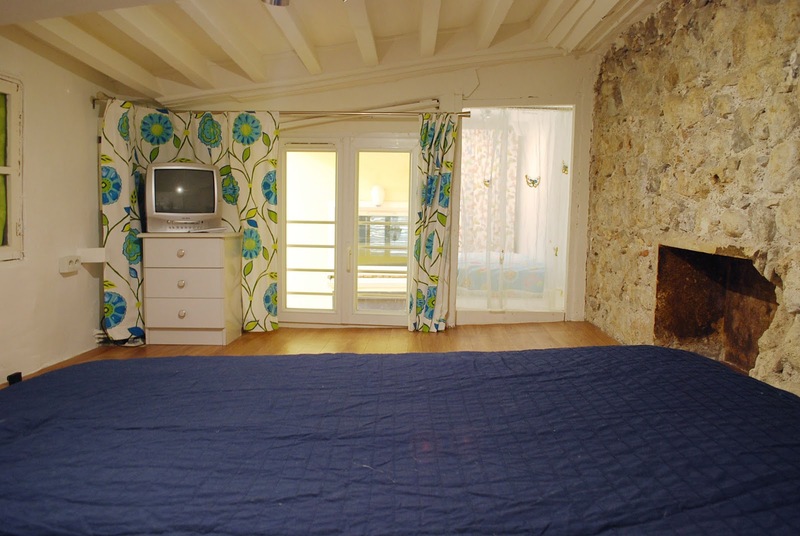 One of the very last rooms we finished, just a few days before we left France, was the attic bedroom where Zari, Dio, and Inga slept. This is the "oldest" room in the house; you can see the original beamed ceiling and stone walls. In contrast, everything has been plastered over downstairs. The attic was definitely the ugliest area of the house with peeling plaster and paint, no lights (just one outlet for the entire room), and a crumbling painted floor. 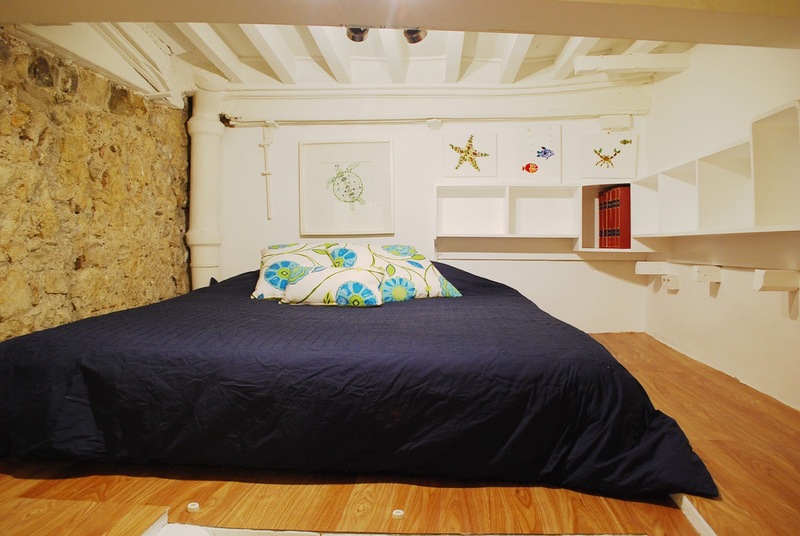 The main room is a large rectangle with an area for a big bed and built-in shelves. The ceiling painted was cracked and peeling. See the single outlet? That powered everything in the entire room. In the middle of the floor is the access hatch with a very steep staircase--almost a ladder--leading down. The circuit breaker is on the left behind the pile of bedding. The little "room" on the right, above the downstairs hallway, had no floor and was criss-crossed with electrical conduits. See Inga's little room? 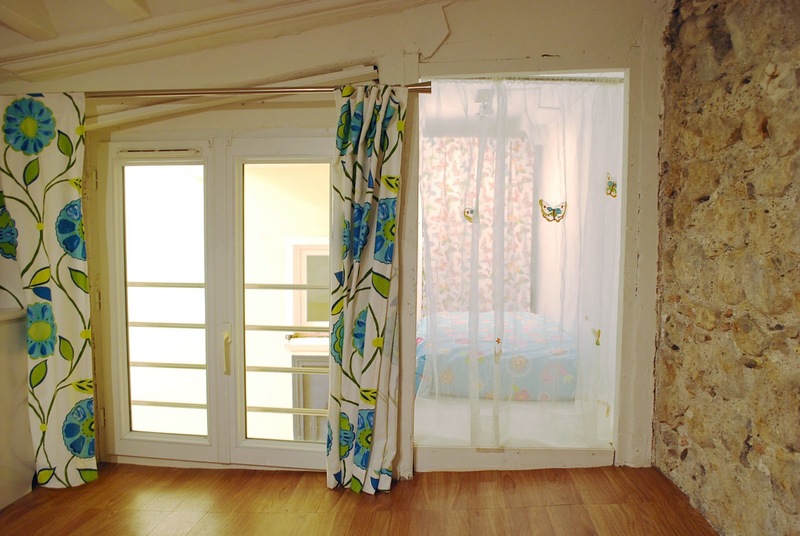 I made two curtains for it: one in the far back to hide some shelves and another in the front that was see-through. Just for fun! Here's a wide-angle view of the room. The window of the right leads to a storage room above the back bedroom. We also wired that room with a light fixture. Let there be light! We also built a wood hatch that completely covers the attic opening (not pictured). It can be folded in half or removed completely. It's strong enough for adults to walk on. And that is the attic! See us on House Hunters International! We're going to be on House Hunters International! It airs Thursday, August 20th at 10:30 pm EST, and again at 1:30 am on the 21st. Our episode is called "Nice To See You Again." It was really fun to tape the episode. I have no idea what our story will be on the show :) Take 5 days of taping and edit it down to 25 minutes...anything could happen! Keep in mind that you'll see our apartment about halfway through our renovations. I haven't yet shared our final renovation pictures, especially in the attic and back bedroom. Hope to get those up soon! The house was a mess, suitcases scattered everywhere, clothes in piles on the floor, but we still made time to go to the beach. . . . . . . . . . . . . . . . . . . . . . . . . . . . . . . . . . . . . . . . . . . . . . . . . . . . . . . . . . . . . . . . . . . . . . . . . . . . . . . . . . . . . . . . . . . . . . . . . . . . . . . . . . . . . . . . . . . . . . . . . . . . . . . . . . . . . . . . . . . . . . . . . . . . . . . . . . . . . . . . . . . . . The next item I'm selling is a handmade linen baby hammock. It's brand new--used just one night to test it out. The hammock is made of 100% ivory linen and has a snap-in quilted pad with wool/silk batting. The support bar is made of cherry with a hand-rubbed wax finish. The hammock is spring-mounted, so it bounces your baby gently every time she moves. Includes all hardware for mounting on a ceiling joist or door frame. Ideal for small babies...but still big enough for a 2-year-old! If you're interested, please email me and make an offer! Ships anywhere in the US. Disclaimer: Like most handmade products, this hammock has not undergone safety testing. Ivy is done with diapers (yay! wait...sniff...but yay!). Anyone want to buy my handmade cloth diapers? I have 23 size newborn and 23 size small. (I gave away the size M diapers in France--sorry!) I will also throw in 2 small wetbags and 8 assorted diapers (some name-brand) sizes S & M.
I made the NB and S diapers with the Chloe Toes AIO diaper pattern using FOE and diaper-grade hook & loop. The diapers are all loop, so no diaper chain when you do the wash! (They close with double-sided hook tabs.) They're cut high in the back and low in the front for a perfect fit. The absorbent insides are made of hemp fleece, hemp terry, and cotton terry. The soaker is stitched in on just one side, allowing it to wash & dry more easily. It can be folded over for extra absorbency. Half of the diapers have appliqued Canadian maple leaves. NB fits until 6 weeks (for the chunky babies) up to 3 months (for the skinny ones). S fits until 6 months (chunky babies) up to a year (skinny babies). 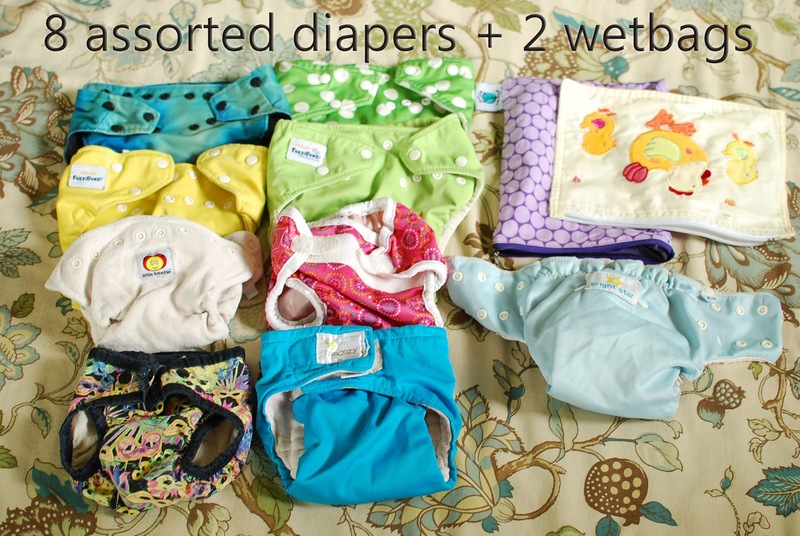 The 8 other diapers are an assortment of name brands and a few homemade ones that have lost their elastic. Please email me if you're interested! I can ship within the US. On Wednesday morning we hurried to get everyone dressed and all the suitcases in one place so we could do last-minute cleaning. We handed the keys over to the person who would be taking care of our apartment. On our way out we said goodbye to our downstairs neighbor, who has a son Inga's age. We're going to miss them! Then I headed to the bus stop with 4 kids, 1 purse, 1 messenger bag, 4 backpacks, and my violin. Eric left a few minutes later with a friend who drove all 8 suitcases to the airport. In our hurry, we forgot to communicate where to meet up in the airport. I was waiting in one area, Eric in another, and we almost missed our trans-Atlantic flight because we didn't find each other! At the last minute I herded all the children to a new area and found Eric. But of course it had to be more adventuresome than that. Out of the blue, Ivy puked all over me. A minute later, she puked all over herself and the floor. We couldn't do anything to clean up because we were checking in. We made it through security and got onto the airplane. Our flight sat on the tarmac for over an hour, waiting for several passengers arriving on another flight. As soon as we took off, Ivy puked again, all over me. After the third time, I was prepared. Good thing: she puked at least 10 times on the way home. Zari got to help the Air Canada Rouge staff serve drinks. Inga also wanted to wear one of their stylish fedoras. Besides puking ten times, she was an easy traveler. I managed to read a book. Our late start meant we missed our next connecting flight, so we got re-routed to a different city. Our third flight was several hours later than planned. 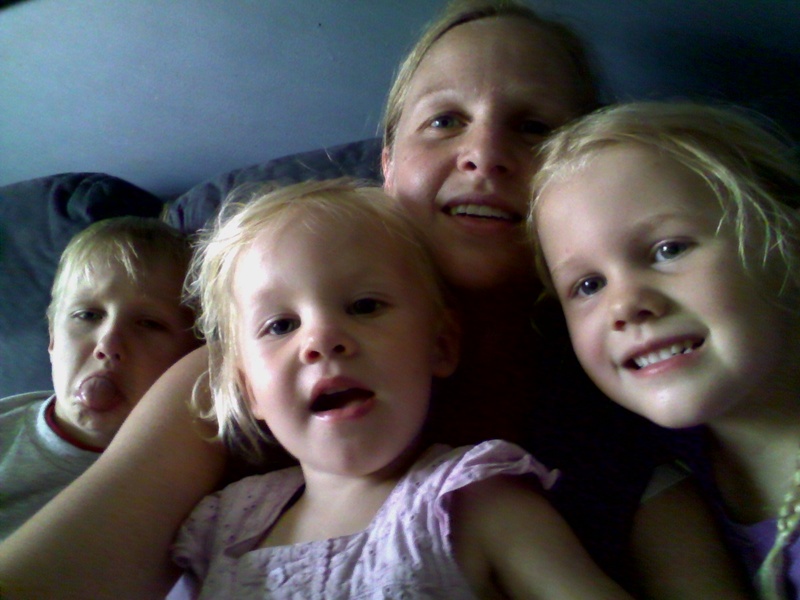 We finally got home at 1:30 am local time (7:30 am French time) and got the kids in bed an hour later. But the fun didn't stop there. No, that would be too easy. The next day, I came down with a nasty stomach bug. Thanks Ivy. When the puking ended, the fever started and it wiped me out for the next 36 hours. We're all recovered now, but only have two days left until school starts! I thought we had until next week so it was an unpleasant surprise when I checked the school calendar. Read about the struggle to access home births in Spain, including hurdles mothers have faced birthing outside the Spanish medical system. This recent research investigates the effect of S2S and BF right after birth on reducing primary PPH rates and found a strong positive correlation. The paper is titled Does skin-to-skin contact and breastfeeding at birth affect the rate of primary postpartum haemorrhage: Results of a cohort study. If you buy a CUB, the company donates a clean birth kit to mothers in developing countries. With every 5 birth kits, they include a CUB as well! So consider buying one for yourself if you are expecting or for your practice if you are a birth attendant. Rhonda Powell, Shawn Walker, Alison Barrett recently published an article titled Informed consent to breech birth in New Zealand in The New Zealand Medical Journal (24th July 2015, Volume 128 Number 1418). Heads Up: The Disappearing Art of Vaginal Breech Delivery is now available on DVD for personal use, childbirth educators, public screenings and institutional use. Use promo code 'BetterBirth360' to save 15% this week. A family physician who delivers babies discusses her decision to have a home birth, and the controversy and fear surrounding it. Read her article titled "Amid Fears And Controversy, A Doctor Chooses A Home Birth"